Mario's 8-bit adventures were compiled and enhanced for the Super Nintendo on a single cartridge. This was the world debut of "The Lost Levels", originally sold as Super Mario Bros. 2 only in Japan. Super Mario All-Stars is a collection of previously released Super Mario NES platform games. 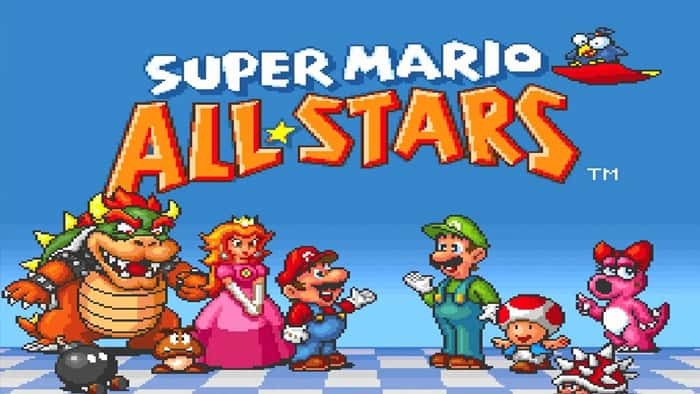 Play Super Mario All-Stars online! Each title is presented with its original gameplay and level design, but has been given a makeover in the graphics and sound department. A save option has been added allowing players to store the session data.